Buy these four audiobooks together and save $35! 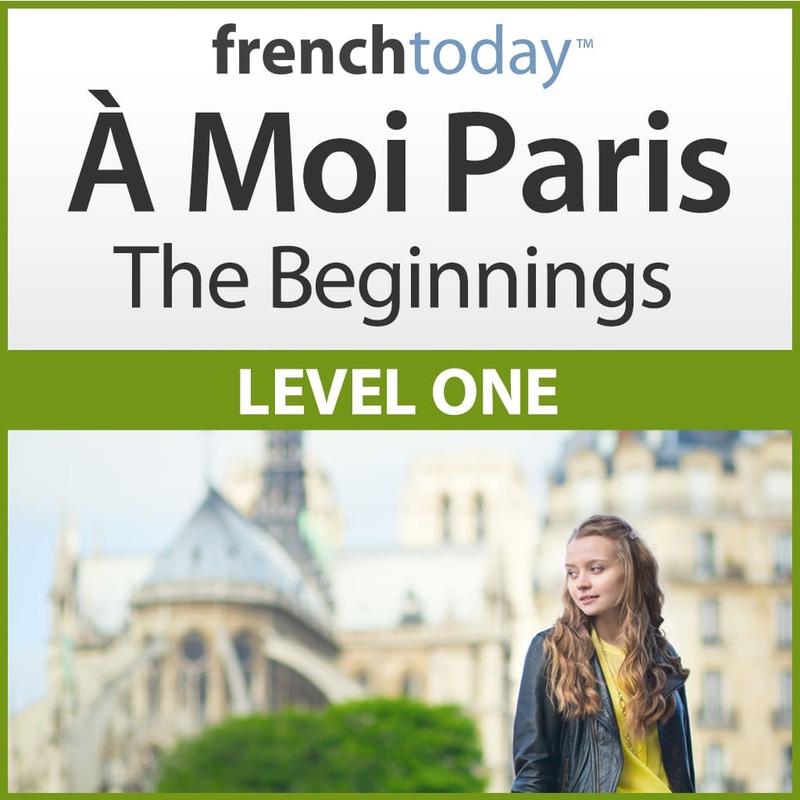 The perfect way to take your French to the next level. Four of our most popular products bundled together for an amazing price. 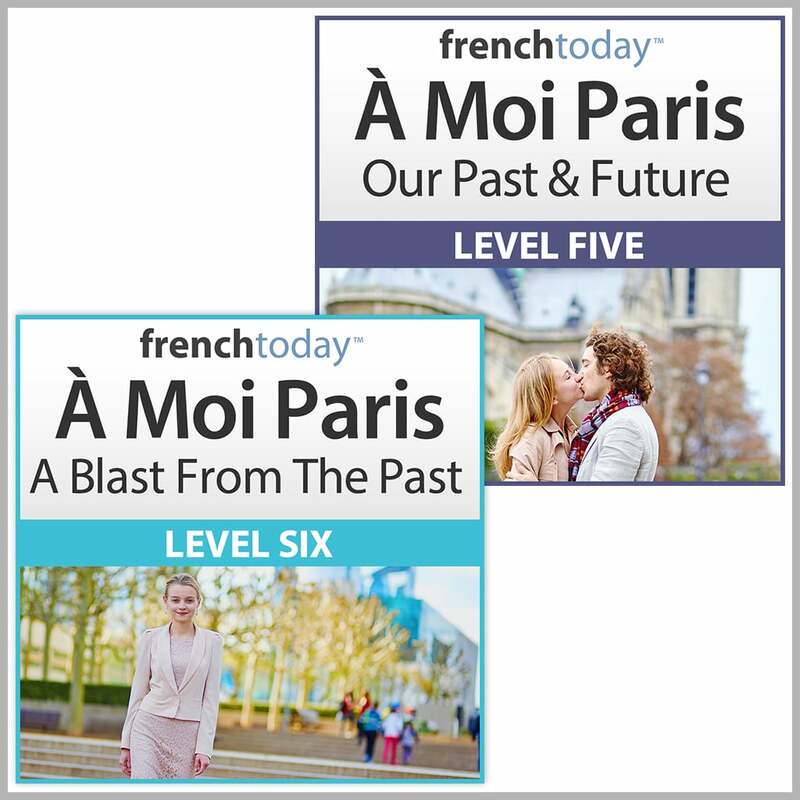 Develop your fluency with the present tense, by studying pronouns, adverbs, and more advanced adjectives. As usual, you will learn all these grammatical concepts within the context of the story so that you can memorize the new vocabulary and grammar easily. 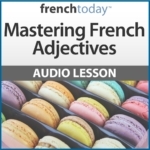 Begin your transition into more advanced French conjugation and grammar concepts with this French companion audio novel. Reunite with Mary and her friends in the story part, featuring longer dialogues, more complex vocabulary themes, idioms and expressions and an introduction to the tenses of the past and the future. 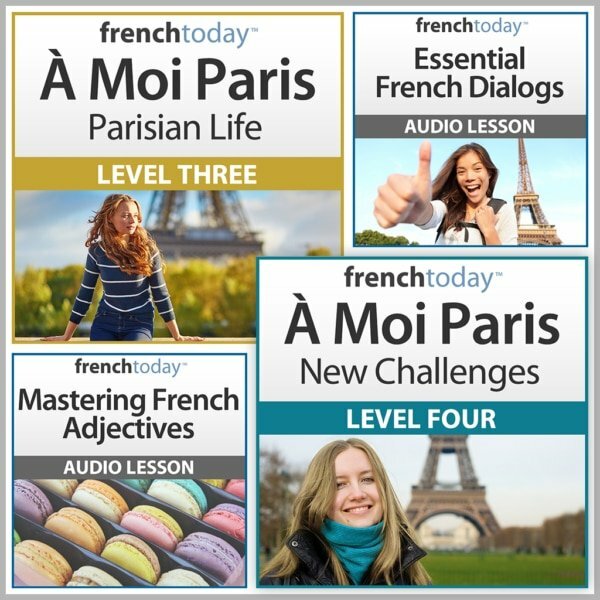 Then practice your French with the Q&A section. 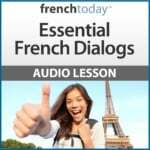 Realistic conversations covering every day situations tourists are bound to run into, professionally recorded at two speeds using modern street French pronunciation to boost your confidence in both speaking with, and understanding the French natives. Be a savvy tourist in France: the accompanying tips (full of vocabulary) cover factual and cultural points to help you fit in, avoid faux-pas and feel prepared when traveling to France. 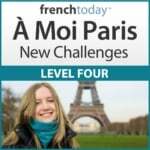 French adjectives follow very different rules than English adjectives: their pronunciation in particular changes a lot depending on the word they modify, this is why learning these adjectives with audio is so important. 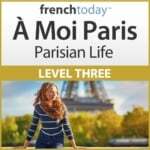 This 2 hour 40 minute lesson will teach you in clear details all the logic that rules French adjectives as well as a lot of truly useful vocabulary to describe food, people, feelings etc... A major asset for all your French conversations.